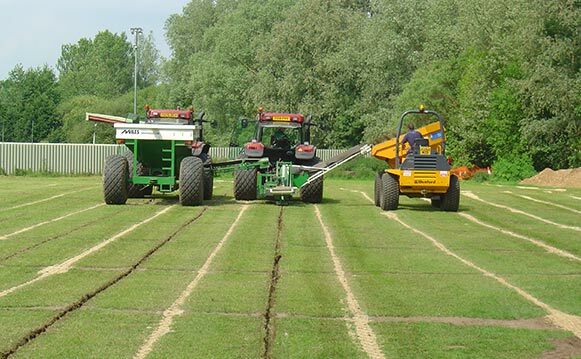 Our highly trained operatives are able to carry out installation of drainage systems to sports fields while causing minimal impact to the high impact surface. All of the machines used in the installation process feature low ground pressure tyres so as to limit damage to the ground surface. From design to secondary drainage works, we can provide the full package of works to ensure that your high impact sport field is playable all year round. The equipment used for the installation process is compact in its dimensions, making it ideal for small sports areas where bigger equipment cannot access or is un-economical to use.